Hellie Ogden is a literary agent at Janklow & Nesbit. In 1972, after many years as a corporate lawyer, Morton L. Janklow, was presented with the opportunity to become a literary agent when one of his clients at the law firm asked him to represent a book he was writing about the current US President, Richard Nixon. When the Watergate scandal broke and the publisher tried to renege on the contract, Morton's shrewd negotiations secured a deal and the book became an international best-seller. His determination to put the author first, and not the publisher, was the central ethos for opening his own literary agency. Consequently, many authors flocked to his door and remain under his wing to this day. Lynn Nesbit joined International Creative Management, now ICM Partners, when she was twenty-five years old and created its literary department which flourished throughout the twenty-three years that she led the department. In 1989, Lynn joined forces with Morton, to establish Janklow & Nesbit. With two such visionaries at the helm, it is no wonder that they have become of the largest and most powerful literary agencies in the world. First established in New York, their London office has been operating successfully since opening in 2000. After working for Penguin, and later as a literary scout, Hellie Ogden joined Greene & Heaton in 2010. Often combing the dual roles of translation rights manager and literary agent, meant Hellie was able to develop a range of skills within the agency, securing deals both domestically and internationally for her authors. After three years of building an impressive roster of her own clients, she joined Janklow & Nesbit in April 2013. She has chaired the Events Committee for the Association of Authors' Agents and also runs the Tales from Paradise literary event. This, combined with her experience as a publisher and scout, makes Hellie Ogden a literary agent any writer would benefit from being represented by. In your early career you actually worked as a publisher. Were you ever tempted to pursue this vocation? And what insights about the industry were you able to learn that literary agents are not privy to until later in their careers? Yes, I worked at Penguin and I loved my time there but I was always drawn to the agency side. I wanted to be the first to discover new talent and be involved in all aspects of an author's career from the early edits and the initial book deal through to selling the foreign rights and handling TV, film and media enquiries. What I learnt there was crucial for where I'm at now though. By knowing how the other side operate you get your strategies right and I'm in a much stronger position because of that. You subsequently worked for a leading literary scout. How were you able to overcome what can be a precarious relationship with literary agents in securing preview reads for their new manuscripts? And did this agency exchange spark the interest to become a literary agent yourself? Scouting is a dangerous job! It's all about forming relationships and then spending the rest of your days making sure you don't mess those relationships up! As long as you respect the agents and their submissions and always try and read what you get sent you will find yourself rewarded in the end. I work closely with scouts now because I'm very aware of how useful they can be. The experience certainly did spark my interest in becoming an agent and it gave me a great publishing overview. These two positions enabled you to bring a wealth of experience to your first day as a literary agent. But what agency specifics did you still require training in? Contracts was an area that I had to learn and I've learnt from the best! As an agent everything you do has to be in your client's best interest and part of that is a perfect contract. How has your working week as a literary agent changed since your first week? I can now get the admin side of my job done quickly and efficiently which leaves more time for scouting for talent. I spend a lot of time with my clients getting their material perfect before we send it out and as relationships are key I'm out with editors as often as possible. I also chair the Events Committee for the Association of Authors' Agents so my working week now includes organising events for that. When you attend Book Fairs as a literary agent, how does it contrast with your previous attendance in the capacity of publisher or literary scout? As a scout your work is mainly done by the time of the Book Fairs and it's important you just make sure nothing new is missed, it's a fairly relaxed week. As a publisher you get pitched at all day but you save your voice by listening to others! On the agency side, it's meetings back-to-back pitching our books to editors around the world. I really enjoy showcasing our brilliant list but it's also a great opportunity to find out what's working in different territories and to secure big deals as well as make sure everything we are doing is on trend. I love Book Fairs as an agent, you are constantly being tested and pushed and it's incredibly rewarding. What is involved during the transition from one agency to another for a literary agent? Do agencies ever contractually bind a client to the agency rather than the agent? It is a decision that each client has to make – do they stay with the agency or move with the agent? Luckily all my clients decided to move with me to Janklow and the transition was very smooth. Does working for a larger literary agency such as Janklow & Nesbit have an impact on an agent's profile within the industry? Does it open more doors in subsidiary rights for your clients? I do feel my clients are really very well served at Janklow. As well as having me here as their primary agent, they will also have a US Janklow agent to represent their work in the States and a translation rights agent who works direct in all major territories. We have fantastic US and UK film/TV links too. Despite being a large, global agency we offer a very personal service so you really do get the best of both worlds. 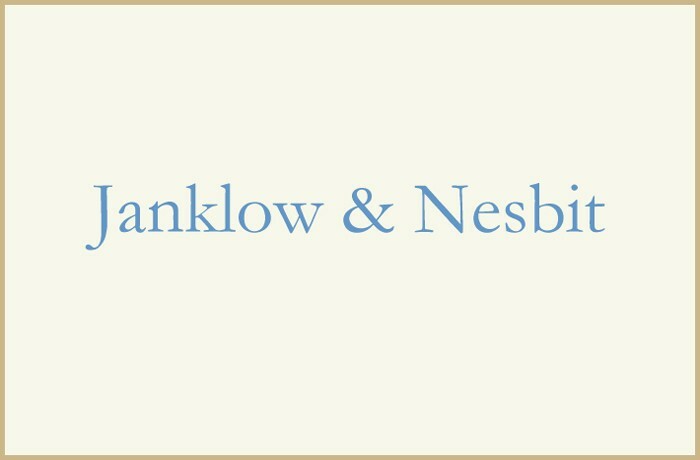 Since joining Janklow & Nesbit you are continuing to expand your client list. Has being a literary scout influenced how your scout for your own clients? Yes and no. You read everything as a scout so you know what is working at a certain time but I can't just rely on what was getting people excited three years ago, trends change. It has made me open my eyes to things I wouldn't normally consider though and I certainly wouldn't just wait for submissions to come to me, I'm always searching out new talent. Have you noticed any differences in the manuscripts you receive from unpublished writers, to those you previously read from agency repped authors? A good agent will do some editorial work with their client before submitting so that can be pretty noticeable and it's an agent's job to advise on what's working in the market so subject matter can be a big difference. If a submission failed to grab your interest, would you ever consider passing it to another agent at your agency? Do the UK based agents at Janklow & Nesbit recommend submissions to their colleagues in New York, or vice-versa? Most definitely. There are some subjects which just don't get me excited but that doesn't mean it's not right for my colleagues and we will share with the New York office too if that's a better fit. What genres are you particularly interested in representing? And how should writers approach you with their submissions?